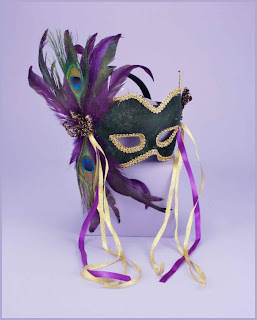 The most fun part about Mardi Gras is the fairy tale like Masquerade Ball masks. You feel like a princess/prince in your own right and become the celebration of love. The love that is not just between two people, but the love that has transcended the man-made boundaries of diverse cultures and races. It is the love for universal brotherhood. It is the love for who we are. It is love for our roots. It is the love for the high ideals that USA stands for. Come. Be a part of this beautiful celebration of love this Mardi Gras with PartyBell. The whole range of color spectrum from greens to blues with a tinge of purples can make anyone go 'awww...'. 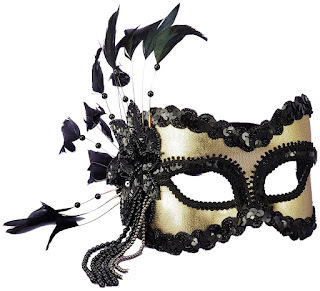 This masquerade mask is one such stunning mask with details in gold lace. The feather bunch with peacock's feather add charm to this. 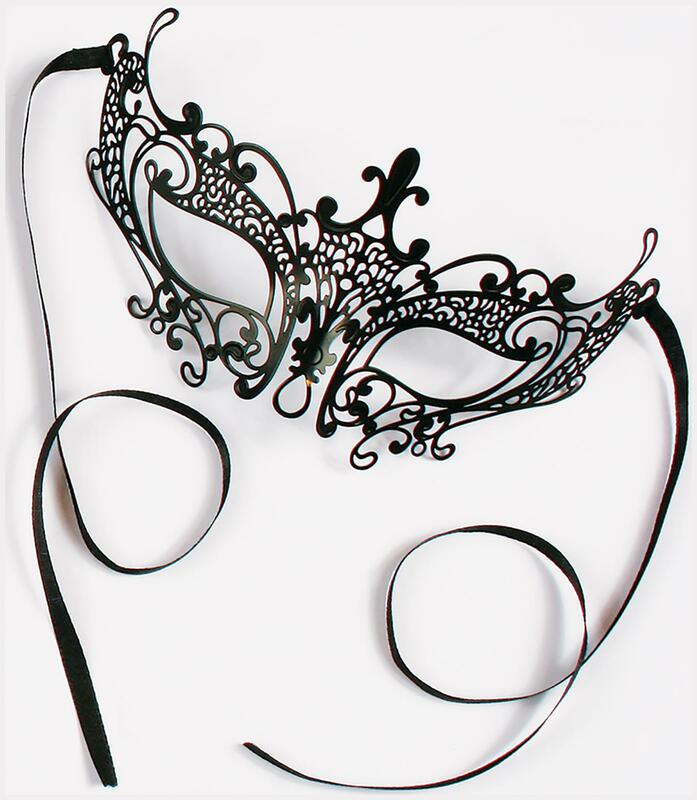 This beautifully decorated gold and black Venetian style half mask has sequins and feathers and adds elegance to your Masquerade costume. This sleek black mask is one delicate touch to embellish your masquerade dress this Mardi Gras. Black mask is accompanied by traditional gold rim. 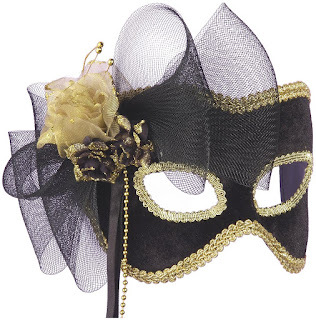 The golden flowers adorn the top of the mask as a centrepiece for the black netting bow. 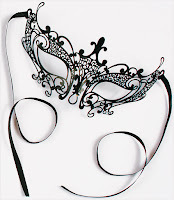 Choose many many more from PartyBell's exquisite masks collection.